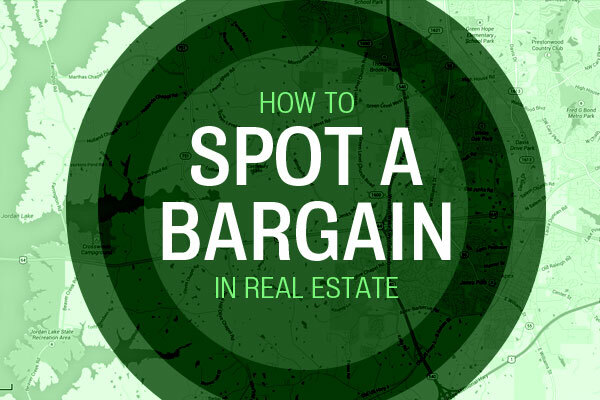 Cary, NC – How do you spot a bargain in real estate? That’s a question I get all the time. After more than ten years as a Realtor and hundreds of homes transactions, I think have the answer for you. If you need to live near a school, that will be your deciding factor. You should base your search on properties within the school district you want. If getting to work is your primary concern, you probably want good road access. If you’re in retirement mode, you may want to live near amenities. As an example, 95 Essie Drive in Apex, a house I’m currently listing is near NC 64 and NC-540. Great schools in Apex, excellent access to transportation, located between Beaver Creek and Jordan Lake. For a wide swath of people, this house is probably a bargain. A lot of statistics and data can help us measure value. Price per square foot, house size to lot size. The relative factor goes back to your locations needs. Look again at 95 Essie – 3989 square feet on 4.7 acres for $585,000. 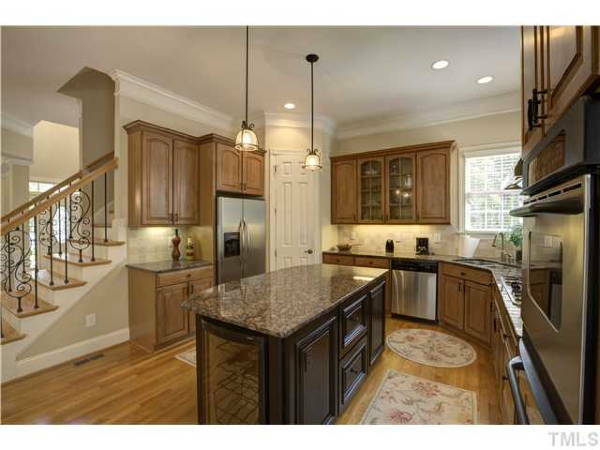 You can get a comparable house in Cary for about the same price. But if you want to live near Green Hope High School (a very fine school, no doubt), you might end up on 1/5 acre of land. If land is not important to you and you have kids going to high school, Cary may be the right choice. But for most other buyers, 95 Essie is probably a bargain. Houses that start too high frequently overshoot the mark on the way down. 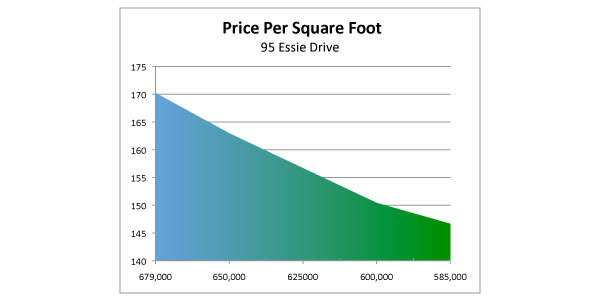 Not to throw my client at 95 Essie (a motivated seller) under the bus, but look at this chart of price/square foot. The house was initially listed (last year) at $679,000 for a P/SF of $170.22. This week, we’re lowering the price to $585,000 for a P/SF of $146.65. This starts to look like a bargain. Amenities can include everything from a screened porch to an four-car garage. But the Number #1 amenity in real estate is the kitchen. You know what Realtors say: if you’re going to put money into your house, put it in the kitchen. It returns the best value on your investment. Kitchens trends evolve over decades. Today, buyers want to see granite and stainless steel. Cabinet doors with hidden hinges and a wine refrigerator are becoming more common ingredients in the Gourmet Kitchen. 95 Essie, built in 2005, has all of that – granite countertops, stainless appliances, gas range, hidden hinges, wine fridge. Once again, if you’re looking at two comparable houses, but one of them needs a kitchen upgrade, the property in Apex is the bargain. I think, in the end, most buyers do get their bargain. The get it by weighing their different needs and desires and finding the best mix in a home. You can search on the web and see dozens (or even hundreds) of homes. Or, you can save time and ask your Realtor for a list. Seriously, they can narrow down the choices for you pretty quickly. Spend a few hours and visit the top houses on your list. Go home and think about it. Factor in location, value metrics and the amenities that matter to you. You will find your bargain.